The post LL 088: Alternative Self-Help + Mental Health w/ Shannen Roberts appeared first on Lavendaire. The beauty and skincare industry thrives on “more”: buy more products, put more on your skin, and – if they don’t work – use them more often. Today’s guest is Liah Yoo, a beauty influencer and CEO of KraveBeauty: a skincare brand that sells “less”. 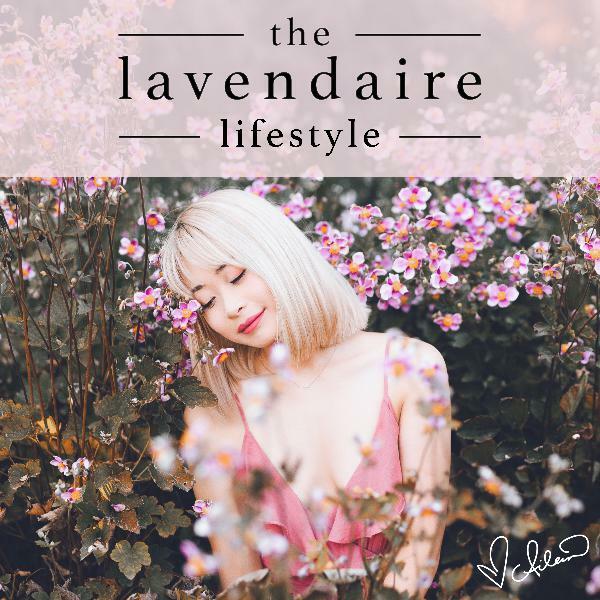 Through her YouTube channel and business, Liah wants to #PressReset…The post LL 112: Starting a Business & Pressing Reset on the Skincare Industry w/ Liah Yoo appeared first on Lavendaire. Today’s episode is a treat if you’ve seen design for businesses like Fenty Beauty or Colourpop, or content creators like Jenn Im or LaurDIY. We have graphic designer Dawn Lee on the show, who has worked with all of those brands and much more, through her boutique design and art studio DLD.studio. On top of…The post LL 111: From Freelancer to Business Owner w/ Graphic Designer Dawn Lee appeared first on Lavendaire. You might be a perfectionist and not even know it. We tend to think of perfectionists as people who are obsessed with being organized and who never finish projects because it’s impossible to get them just right. But perfectionists are also: people-pleasers, procrastinators, and people who fill their time with busywork. Today’s guest, Sam Laura…The post LL 110: Perfectionism, Procrastination & Changing Your Self Image w/ Sam Laura Brown appeared first on Lavendaire. This episode’s a highly-requested collaboration with YouTuber/creator Rowena Tsai! Rowena has her own channel on self care and productivity, and also Beauty Within: a beauty & lifestyle channel celebrating inner beauty and wellness. Aileen and Rowena explore Rowena’s escape from a dark and lonely place as a teenager, similar journeys in creating content in the…The post LL 109: Discovering Self Love, Defining Success & Life as a Creator w/ Rowena Tsai appeared first on Lavendaire. Start small, start slow. An entirely zero waste life can be a daunting goal, but what if we could all make small steps in just one room of our home? Today’s podcast guest is Max La Manna, a zero waste vegan chef and voice for low impact living through small changes every single day. Aileen…The post LL 108: Zero Waste Cooking & Low Impact Living w/ Max La Manna appeared first on Lavendaire. How do you tell the difference between worry that keeps you safe and worry that holds you back from growth and new experiences? Today’s guest, Amber Rae wrote “Choose Wonder Over Worry” to share how she tells the difference: a journey through the inner world to come out and live your truth. Aileen and Amber…The post LL 107: Choosing Wonder Over Worry w/ Amber Rae appeared first on Lavendaire. Today’s podcast episode is a real talk with Amy Lee, an online creator who explores everything fashion, beauty, and lifestyle. Amy’s work inspires everyone to know that they have a voice, and to feel empowered to be a better version of themselves every day. Aileen and Amy talk about exploration and pursuing authenticity in your…The post LL 106: Body Shame, Self Love & Authenticity as an Online Influencer w/ Amy Lee appeared first on Lavendaire. If manifestation and the law of attraction has ever seemed too “woo” for you, this is your sign to think again and keep an open mind. Today’s guest, Kimberley Wenya, is a manifestation and spiritual mindset coach who wants to bridge the gap between the “woo woo” and modern girl spirituality. Manifestation starts simply with…The post LL 105: Manifesting Your Desired Reality w/ Kimberley Wenya appeared first on Lavendaire. People will always forget your failures, so don’t be afraid to get up and try again each time you fall. This is how today’s guest built her career in comedy as an Asian American woman, starting at 16 years old. Sierra Katow is now a stand-up comic, TV writer, and freelance web developer. Aileen and…The post LL 104: Dealing with Failure + Being a Minority in Entertainment w/ Sierra Katow appeared first on Lavendaire. How would your life change if you started believing “I am enough”? Today’s guest, Marisa Peer, is a celebrity therapist and hypnotherapy trainer who wants you to stop believing in the stories you’ve been told, the stories that make you seek validation and make you say “Sorry” for everything. Aileen and Anita explore life experiences…The post LL 103: Self Love + Believing “I Am Enough” w/ Marisa Peer appeared first on Lavendaire. Zero waste isn’t just about the trash or the plastic. The modern environmentalist lives in a way that is mindful of their inner values, gentle on the environment, and still creative and chic! Today’s guest is Anita Vandyke: rocket scientist, blogger, and author of “A Zero Waste Life: A Thirty Day Guide”. Aileen and Anita…The post LL 102: A Mindful Guide to Zero Waste Living w/ Anita Vandyke appeared first on Lavendaire. Exercise and meditation can be incredible life-changing habits, but they’re both also the hardest ones to commit to. Digital fitness entrepreneur Kait Hurley is trying to change that through her Move + Meditate practice that helps people cultivate stronger, more resilient bodies and minds. Aileen and Kait talk about the danger of putting your self…The post LL 101: Move + Meditate w/ Kait Hurley appeared first on Lavendaire. Today’s episode is a fun treat for creatives, lost post-grads, and anyone feeling ‘stuck’ in their path. We have on experimental audio-visual artist and full-time web developer Nomi, creator at “Piquetures” on YouTube. We talked about how Nomi works creative projects for 2-3 hours per day, why it’s okay to take a gap year if you’re…The post LL 100: Things Take Time – Balancing Work and Creativity w/ Nomi of Piquetures appeared first on Lavendaire. Looking to quit a bad habit in 2019? Hypnosis may be the practice for you! Today’s guest Grace Smith is a renowned hypnotherapist and the founder of the Grace Space Hypnotherapy School, on a mission to make hypnosis mainstream. Aileen and Grace talk about why hypnosis is so effective in stress reduction and changing your…The post LL 099: Hypnosis, Stress & Quitting Bad Habits w/ Grace Smith appeared first on Lavendaire. Bestselling spiritual author Theresa Cheung is back on the podcast to talk about seeing the future and living in the present with her two new books: The Premonition Code, sharing insights into the research around extrasensory perception; and 21 Life Changing Rituals, highlighting what you can do every single day to get out of your…The post LL 098: Closing the Gap Between Science & Spirituality w/ Theresa Cheung appeared first on Lavendaire. The college application process doesn’t have to be as hard as you think. Julie Kim is a college admissions consultant who helps middle and high school students “do it all”: earn good grades, cultivate an empowering mindset for college and beyond, and get into the school of their dreams through finding their true passions. Aileen…The post LL 097: How to Get Accepted into Your Dream College w/ Julie Kim appeared first on Lavendaire. Make feeling good your priority in life, and every day. The rest of what you want will follow. Today’s guest is speaker and author of “Radical Self Love” and “Radical Radiance” Gala Darling. Through her self love techniques and resources, she teaches women everywhere how to fall in love with themselves and life. Aileen and…The post LL 096: Radical Self Love w/ Gala Darling appeared first on Lavendaire. Exploring a completely new topic on the podcast this week: Tarot! Today’s guest, Brigit Esselmont of Biddy Tarot, is shedding light on what Tarot is and isn’t and how you can incorporate the spiritual practice into your everyday life. Aileen and Brigit chat about Tarot as a self-reflection tool (and not a fortune teller), how…The post LL 095: Tarot & Building a Spiritual Business w/ Brigit Esselmont appeared first on Lavendaire. “Work hard and be nice to people.” This simple advice was given to artist and YouTuber Amanda Lee, and it has taken her farther than she could have ever imagined. Amanda started her channel as a high school freshman and six years later, she has grown to over 1 million subscribers who love her creative…The post LL 094: YouTube + Growing Up on the Internet w/ Amanda Lee appeared first on Lavendaire. This episode is perfect-timing if you’re looking to make health or diet changes for the new year (or any time!). Today’s guest is Maria Marlowe: Integrative Nutrition Health Coach, author, and host of the Happier & Healthier podcast. Maria and Aileen chat about how the food you eat affects your body in more ways than…The post LL 093: Eating Healthy, Whole & Happy w/ Maria Marlowe appeared first on Lavendaire.